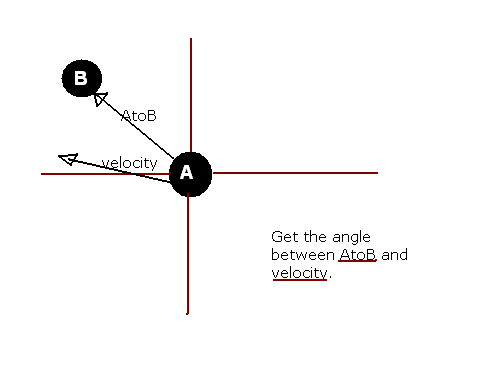 atan2(vector.y, vector.x) = the angle between the vector and the X axis. Will the two following formulas produce the same number? If not: How do I know what vector comes first in the subtractions? You can use abs() if you want the absolute value like I think you do. Sometimes you will get a value that is nearly 2 * PI (greater than 1 * PI), in this case subtract 2 * PI and use abs() again. Not the answer you're looking for? Browse other questions tagged mathematics vector geometry angles or ask your own question. What is the value range from a dot-product between two normalized vectors?